Ever since 1989, Jimmi The Plumber has been solving bathtub problems. In that time, we’ve seen them all. If you have a foul odor coming from your bathtub drain, you may need a new trap. Bathtub pipes are fitted with traps to prevent the smell of sewage from seeping up into the tub. A broken trap can cause your whole bathroom to be filled with disgusting smells day in and day out. Don’t let these odors make you miserable! Call Jimmi The Plumber to repair or replace your trap. Before you call Jimmi The Plumber, check to see if your problem is only minor. If your bathtub is clogged, try unclogging it with a plunger or drain cleaner. If this doesn’t work, the clog may be much further down the pipe than you’ll have access to. If this is the case, call (847) 584-3493 and let us take it from here! You can call Jimmi The Plumber whenever problems arise involving pipes, faucets, drains, or any other bathtub concern. Some plumbers think that you need them, and you are powerless to turn anywhere else. We know the choice is yours. Jimmi The Plumber realizes that there is nothing more important than the bond between us and our customers. This is why we treat all our valued clients with respect and dignity. 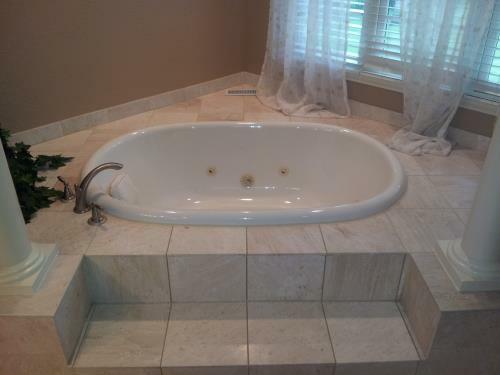 We’ve been in the bathtub business since 1989, and we’ve worked on all kinds of bathtubs. When you need fast, reliable, friendly service, make sure to call Jimmi The Plumber at (847) 584-3493!